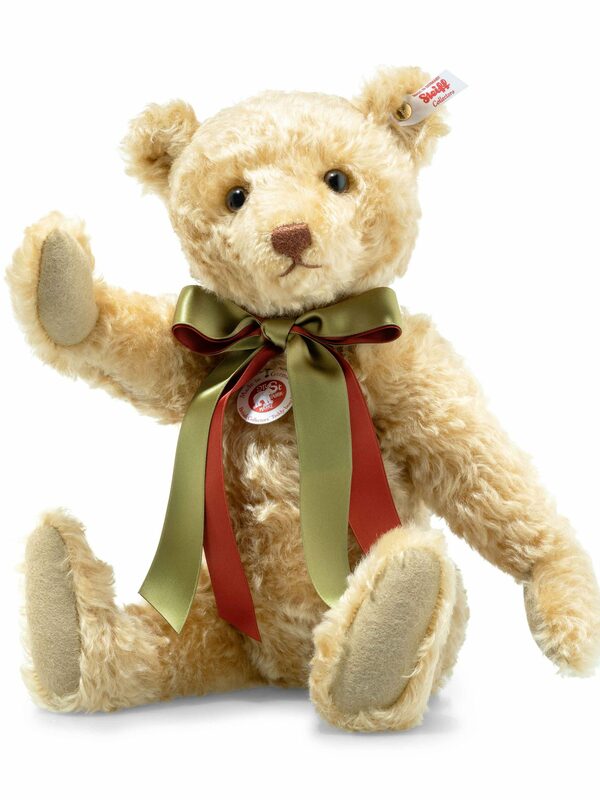 In 1989 Steiff introduced The British Collectors’ Teddy bear. Since his debut the British Collectors’ Teddy bear has quite rightly ruled as the most coveted ‘Jewell in the crown’ of the collector’s world. From his advent an exquisite array of stunning bears has reigned supreme. Two thousand and nineteen is no exception. 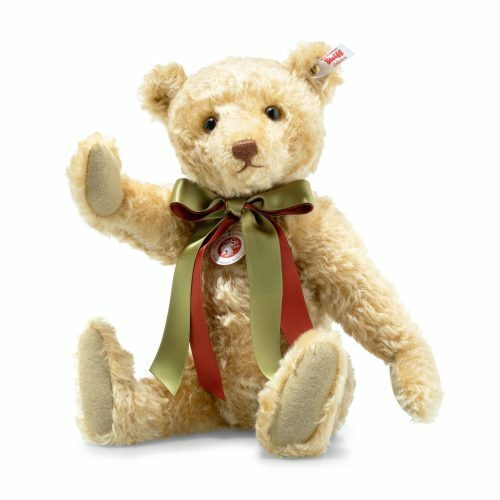 Born out of pure inspiration from the original Steiff Teddy bears from the early 1900’s, Steiff have captured every ounce of magic, spirit, nostalgia and romance that Richard Steiff gifted his bears over a century ago. He is made of the finest mohair which is exceptionally produced and skilfully woven. His expressive pupil eyes overflow with warmth, kindness, courage, virtue and never ending friendship. He proudly growls out loud just how honoured he is to join the celebrated series known as the ‘Jewell in the crown’ of the collectors’ world – the longest running series of limited edition Teddy bears offered by Steiff. This is a handsome bear to be treasured not only for his grace and good looks but for his unique achievement in the world of Steiff.